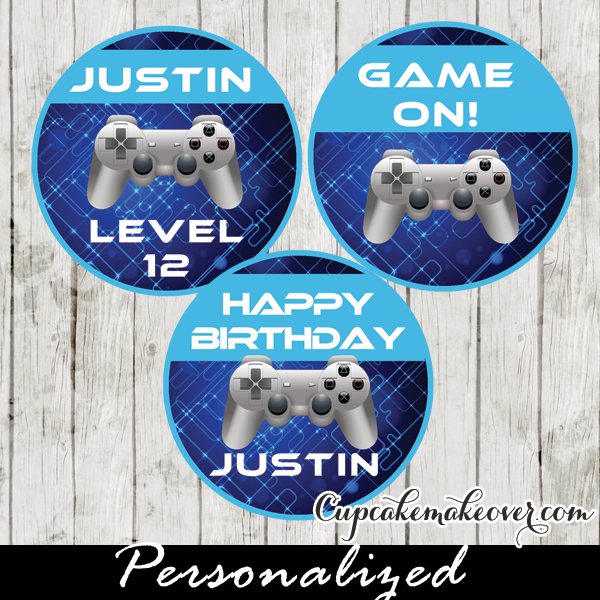 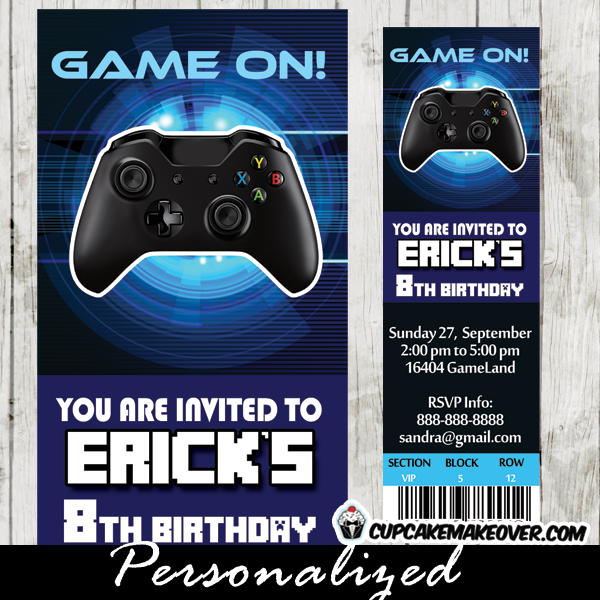 A Super Cool Printable Blue Video Game Birthday Invitation. 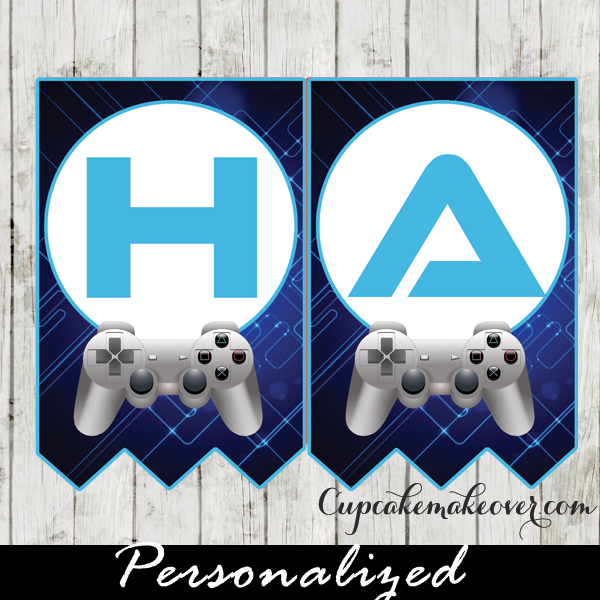 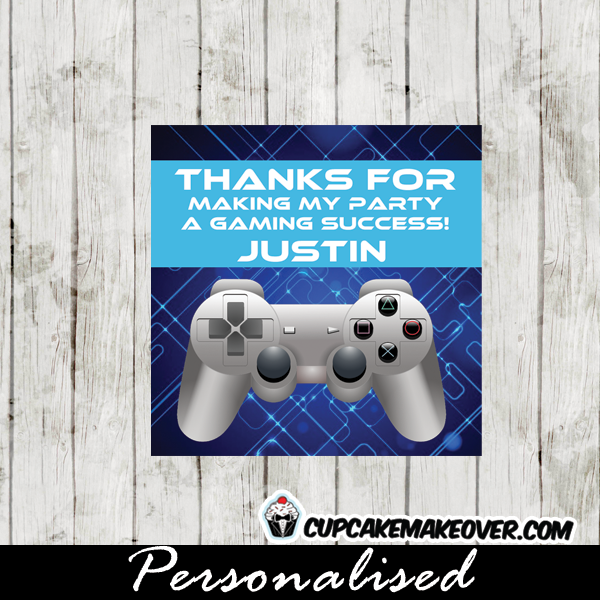 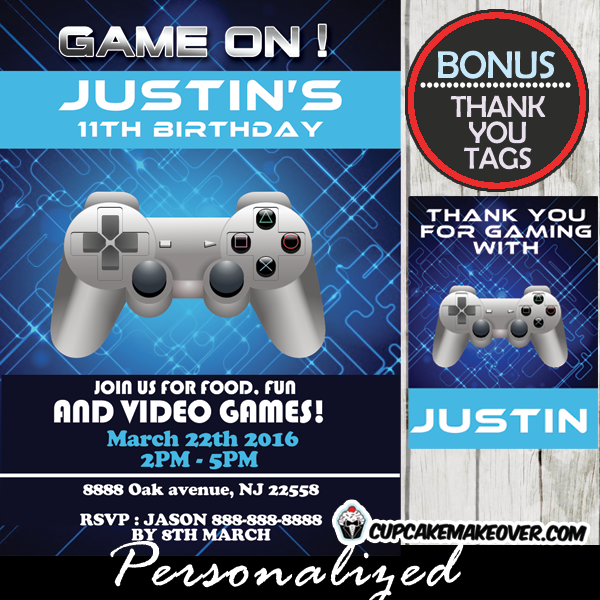 This personalized video game party invite features a white controller against a hi-tech electronic circuit design in blue tones. 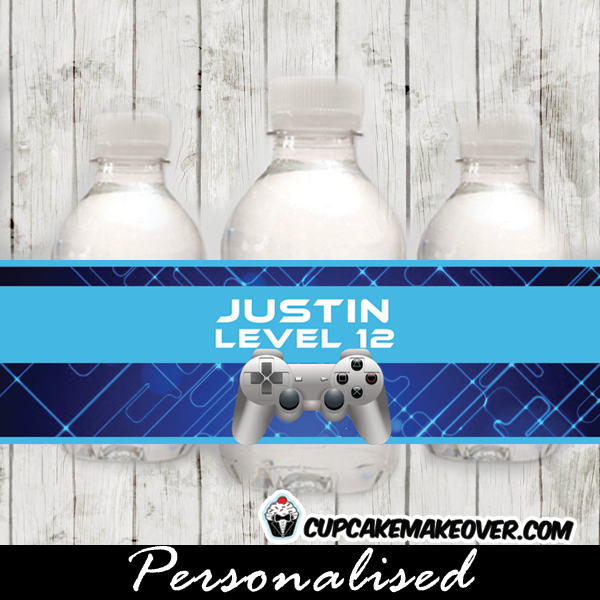 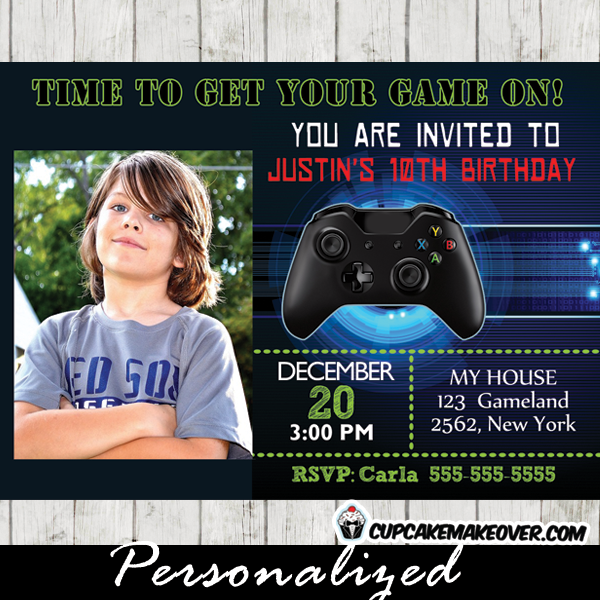 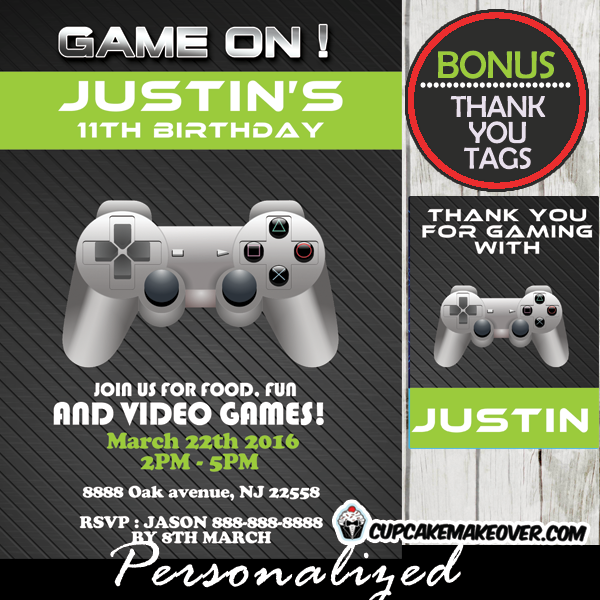 The perfect invite for tween gamers!